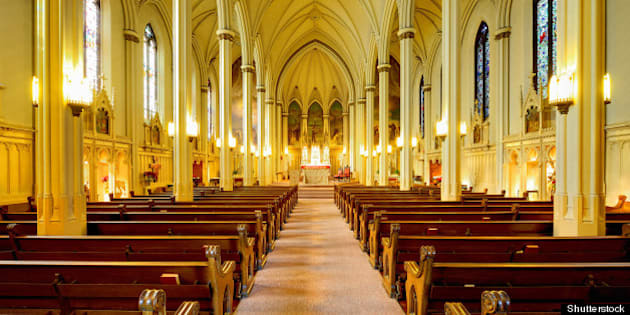 Can Attending Religious Services Really Prevent Depression? Christian publications are crowing that attendance at religious services has a beneficial effect. But while attendance at religious services may, as Dr. Baetz's research shows, reduce rates of depression, such results have not been shown, by the study, to be unique to religious services. Recently, Dr. Marilyn Baetz, Associate Professor of Psychiatry at the University of Saskatchewan, published a study that purports to support the notion that regular attendance at religious services reduces the chances of one suffering from depression. The study, while it is based on information from over 12,000 Canadians and has been published by the Canadian Journal of Psychiatry, does not seem to lead to the conclusions that Dr. Baetz claimed on a recent edition of Ontario Today. Those conclusions are, specifically, that regular attendance at religious services as differentiated from other social gatherings resulted in 22 per cent fewer incidents of depression among the study group. When I phoned into the program, I questioned the conclusion that attendance at religious services had any more effect than regular attendance at gatherings with other people holding philosophies similar to the attendee's; for example, gatherings of Secular Humanists or other non-believers. Her response was to reiterate her opinion that attendance at religious services was more effective than attendance at non-religious gatherings in this regard. Part of her statement confused groups such as book clubs-gatherings of people who have read the same book, but do not share the same philosophy with groups where people share the same philosophy, religious or secular. I have two problems with the idea that the study should lead us to her conclusions. First, even in our brief conversation on the radio, Dr. Baetz confirmed that no effort was made to study the effects of regular attendance at, or absence from, gatherings of non-believers. Thus, no conclusions can be drawn that regular attendance of non-believers at Secular Humanist or like gatherings would have any less effect in reducing the incidence of depression. Second, the people studied must, statistically, have included believers who did not attend services regularly. According to the abstract of the study cited previously, believers who attended services had a 22 per cent lower incidence of depression than the rest of the study's population, including believers who did not attend religious services regularly. Regular attendance at gatherings was the only differentiating factor between the two groups of believers and, therefore, the real factor in reducing rates of depression. One of the keys to good research, particularly in an area like psychiatry, is the presence of a clear control group. In other words, before Dr. Baetz can claim that regular attendance at religious services is any more effective than regular attendance at secular gatherings in reducing incidents of depression, she must do a similar study involving non-believers and compare the results. What makes this interpretation of the study results even more egregious is that Christian publications are crowing (see wwrn.org or christian press.com) that attendance at religious services has this beneficial effect. As is the habit of religious organizations, they are implying a unique effect from their brand of social groups. While attendance at religious services may, as Dr. Baetz's research shows, reduce rates of depression, such results have not been shown, by the study, to be unique to religious services. Of course, there is an obvious disconnect between these statistics, with or without a biased interpretation, and any notion that they indicate the existence of any god(s). Very simply put, if one's meme set includes belief in a supreme being and belief that going to regular services is an obligation, one will be less stressed and less prone to depression if one follows those rules. In short, the results can only demonstrate that there are people who believe these things and that they are happier when they follow their beliefs -- surprise! In the absence of any evidence differentiating between the positive effects of regular attendance at religious or non-religious gatherings, we good reason to hypothesize that people who regularly attend gatherings with people of like philosophy are more able to avoid the complex realities of depression than people who do not attend any such gatherings.